We got a new player in the slider game: cineZEN. cineZEN USA LLC is a design & manufacturing studio creating film, video & DSLR cinema gear. Our gear at cineZEN represents the best quality products in the film medium today. We are first and foremost dedicated to customer satisfaction. Our mission at cineZEN is very specifically ZENlike. Our approach as we grow, will be to extend certain offers for student filmmakers, create special projects and workshops, and offer gear at minimal to no cost for meaningful, life important programming. For projects such as this, we are open to speaking about offering our time, energy, and equipment to benefit you. 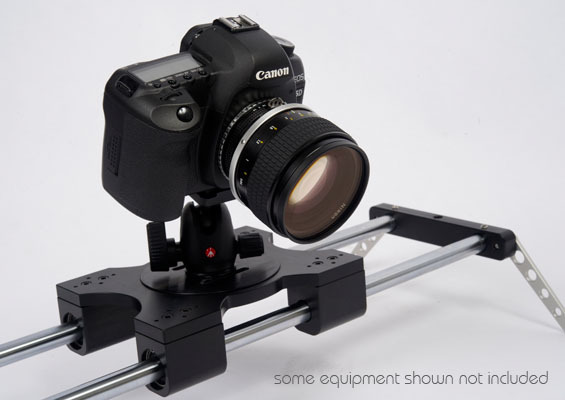 There are several versions of the cineGlide Slider. Prices are between 600$ and 750$.